Lord I was born a Rambla man! Every big city has its touristy shopping street. New York has Fifth Avenue. Miami Beach has Collins Avenue. Rio de Janeiro has Avenida Atlantica. 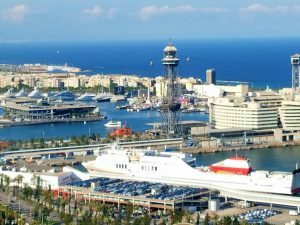 Barcelona has La Rambla. 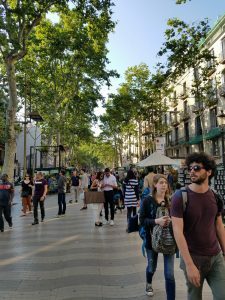 La Rambla stretches for about one and a half kilometers. It has a main pedestrian area in the middle flanked on each end by a narrow car lane, which are in turn bordered by narrow sidewalks. 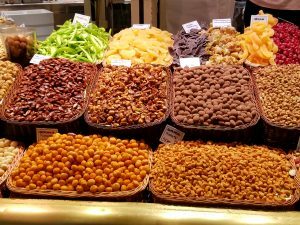 La Rambla has many cafes, restaurants and kiosks selling all types of food, drinks and souvenirs. 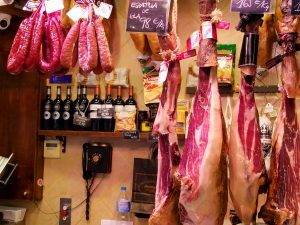 Barcelona’s main public market, La Boqueria, is also on la Rambla. 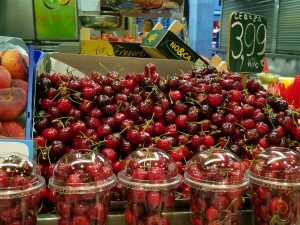 La Boqueria has been on la Rambla since the 13th century and in its current location since the 19th century. 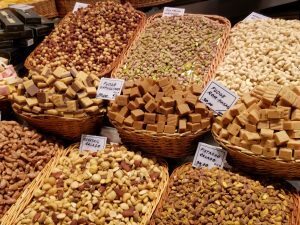 But one thing has not changed-the quality of foodstuff available in la Boqueria. 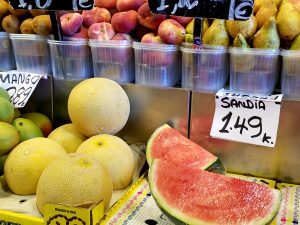 Try to quickly walk through the front of the market which is a dizzying array of stalls selling fruit on sticks and fruit juices (known in Barcelona as “zumos”). 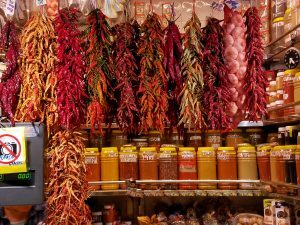 As you walk further through la Boqueria, you will get to the stalls selling dried fruit and nuts, cheese, meat, fresh fish and seafood. 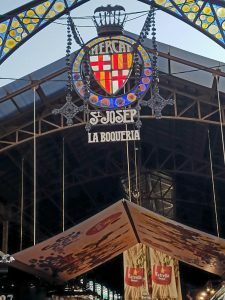 And on the day I visited la Boqueria and walked on la Rambla, I had an additional “must do” experience- on the way home, we stopped at Montjuic. 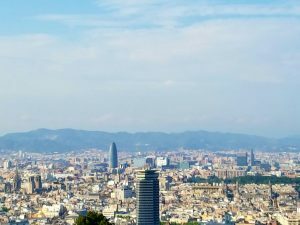 Montjuic (literally mountain of the Jews) is a mountain right on the outskirts of Barcelona where one gets a different perspective and view of this great city! Next Next post: The Amex Centurion Lounge in Miami- a worthwhile detour!